You may have all this info already Martin. According to John Campbell's weapons of WW2, these LA guns were carried on CPIII mountings on Bonaventure, Dido, Phoebe, Scylla, and Charybdis. This mount was also used as you noted on some V and W class destroyers. The only picture I can find that shows this online is this one of Bonaventure: http://www.naval-history.net/Photo06clB ... ure1NP.jpg. And it's not a great picture for your purposes probably. Thinking of building hms Hermione, Rodney and ark royal in the Mediterranean (op halberd?). Hermione generally described as overall medium grey. However some pics from iwm suggest top of guns & ? Top Turrets a darker grey - what do others think? Maybe 507a? It’s pretty convincing on some, but less so in other pics - ? maybe brighter sun so in some pics it looks same colour even though darker paint? 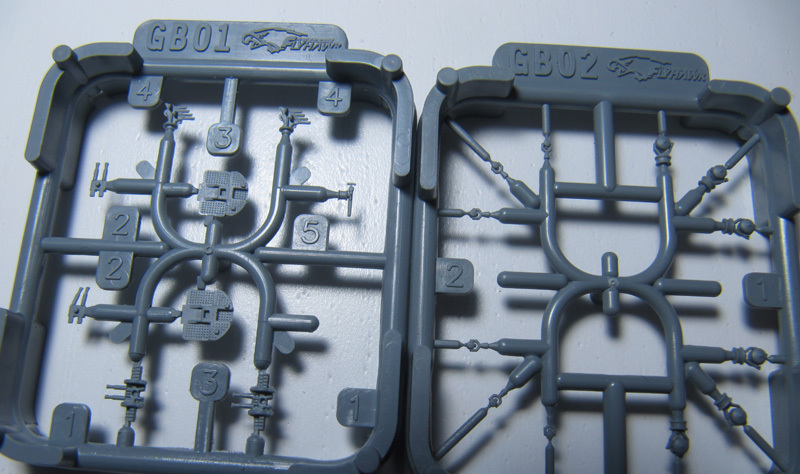 The first pic clearly shows a wavy pattern over the gun barrels, so there is certainly a light/dark scheme applied. The paint on the top of the A-turret even looks a bit weared-down. In the third pic you can actually see that the darker paint is not added exactly ending on the top with tiny bits on the vertical surface. That was my impression too. One more question... Any thoughts on x turret in picture 2. Do you think that vertical surface with the sticky out bit on (rear starboard aspect if turret was in neutral rear facing position) is also darker grey or a trick of the light due to the differing angle meaning it looks the same shade as the turret roof/angle? I suspect its just a trick of light looking at y turret below but not sure. For X-turret it's tricky but I'd say darker. For Y-turret I see no large difference between the turret roof or this particular cover and it appears to transfer to the near-vertical surface. I would go for dark. Euralyus would add some colour to the grey Rodney and ark royal... very tempting! Hello, I'm building Flyhawks Naiad. My question, which type of gun is part GB-1 5? Maida SHOULD HAD there a 4 in gun, but the plastic part looks different to this. Do you see part GB01-5 in the Naiad kit instructions? This part is half the size of a 4-inch gun at 1/700. If humanity wishes to preserve a planet similar to that on which civilization developed and to which life on Earth is adapted, [atmospheric] CO2 will need to be reduced from its current 385 ppm to at most 350 ppm. Dr James Hansen, NASA, 2008. According to Profile Morskie had Naiad a 4.7 cm Hotchkiss gun behind the after HACS. The gun is not visible on the photo in that Profile Morskie, but it was very small, i.e. it could be not visible. What is the evidence that Naiad hat a 10.2 cm gun? 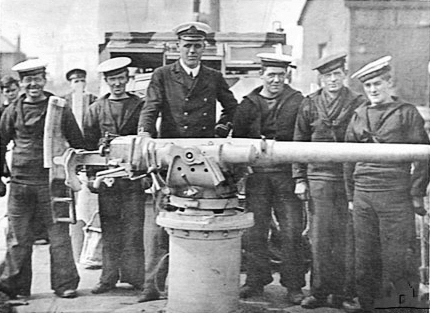 This gun was on board of those Dido class ships, which did not got five 13.3 cm turrets, e.g. Dido, Phoebe, and Bonaventure are described to have had a 10.2 cm gun. Naiad was completed with five turrets. The 47mm gun is in Flyhawk HMS Naiad kit instruction block 8, abaft the aft HACS. I had the information from the english Wiki site, but after a closer look they also write it had 8 5.25 in guns which is then wrong. So the the Flyhawk parts seems correct, but is there any replacement part availabe as the gun looks way oversized. The 3-pounder Hotchkiss (4.7 cm) in the kit looks perfect for me. Noting the family link earlier in the thread, Dido is high on my wish list as Dad served on her in WWII (need to do a bit more research on dates to pin down camo and fit peculiarities). My eyes don’t like working in 1/700 any more and the price of resin means for now I’m holding out for someone kitting the class in 1/350 in plastic - and hoping Flyhawk upscale their Naiad, that would get me going. There is a version in resin if you want in 1/350. currently on Ebay - HMS Sirius (sister of the Dido). Retail is $ 220 USD ,but when you pay ,then it will be a discount and final price of $187 USD. Now that Flyhawk is jumping to 1/350 scale IMO ,a plastic 1/350 Naiad will appear on the future,but a precise date nobody knows ,could take few years from now. Still slowly building hms hermione under air attack in med (flyhawk naiad). What equipment is in the tubs at gallery level on bridge? It’s numbered 3&4 on pic of instructions. Have had fun working out what all the other bridge equipment was (thank you ej foeth in the slipway blog for all the pics!) but not sure what is in these tubs. On John Haynes blog of his model of euryalus (later war fit with oerlikons) it looks like maybe a director (see pic) but not sure this was on hermione in mid ‘41 ib the med. From what footage I have of various Dido's these tubs contain pompom directors (as on the John Haynes model) or 20mm guns. When a 20mm gun was placed in the tub you'd typically see a guard rail. Many Didos had the pompom directors either moved to, or already as fitted out, in tubs midships near the quad pompoms, after this move the tub on the bridge is not always present anymore (configurations vary between ships; you'd find the 20mm gun there if the tub is still there and some ships never had this tub to start with). If I look at pics of Hermione from 1941 I do not see these midship tubs near the pompoms so my guess would be that the bridge tub indeed has a pompom director. HMS Euryalus definitely had a pompom director there. I have a question about HMS Naiad. I've read that HMS Naiad was repainted in 1941 with a Dark Grey hull and Light Grey upperworks. My question is, can the Flyhawk kit represent Naiad at that time without modification?